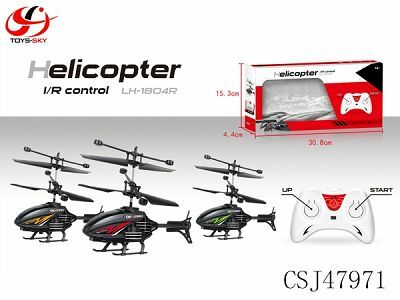 Description: Product weight(g):	110.6 Blades diameter(mm):	55 battery:	7.4V 350mah control way:	phone control now and TX control is under developing charging time:	about 80 minutes motor type：	brush motors RC distance：	30m flying time:	about 5 minutes spare parts:	red blades * 4PCS，blue blades * 4PCS，wrench * 1PCS，manual * 1PCS，charger * 2PCS	Functions	1. It is controlled by the mobile phone. 2. It has unique infrared fighting function, both for singly player or double players modes. 。	3. 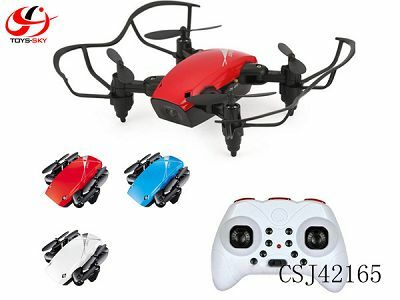 Two drones for parent-children interaction playing 4. RC signal frequency: 2.4G; wireless transmission which is OK for more than one person playing at the same time	5. It is controlled by APP in phone, with gravity sensor and 4 channel functions: forward/backward, turn left/right, left/right rotation, 3D flips & rolls etc. 6. The player can get golden coins to buy abundant fighting skills as well as improving the skill levels to have unique fighting skills through the APP. 7. 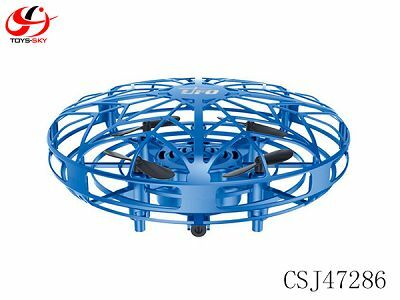 It has high density barometer sensor that it can accurately hold the height and improve the flying stability. 8. It can do one touch take-off, one touch landing and one touch flips & rolls. 9. It has stable 6-axis gyro to feel about the location changes and the flight is more stable. 10. It has florid LED lights that the flight at night is more colorful. 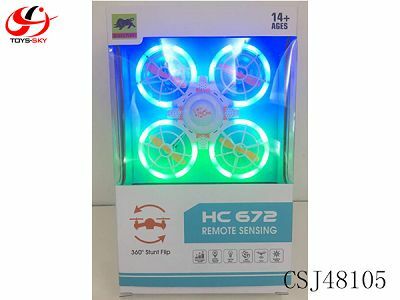 Description: Battery:3.7V 300mah Playing time:About 6 mins Charge time:About 30 mins Control distance:100m Material :Nylon,ABS Headless mode with 6-axis gyro,8 pcs LED light.